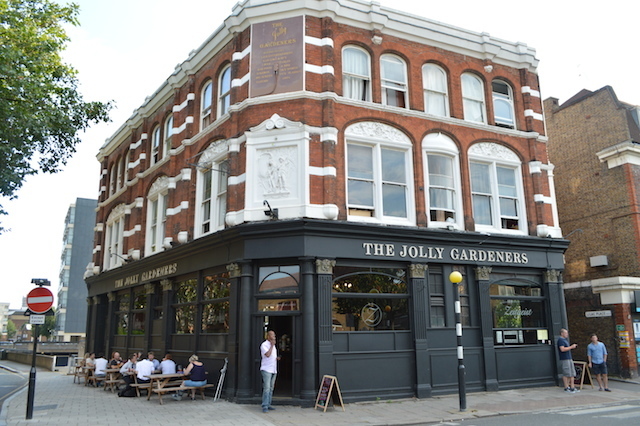 A pub's name is an important part of its character, and in refusing to abandon this interesting Lambeth drinking den's former moniker, 'Zeitgeist at the Jolly Gardners' retains a pleasing link with the past. But make no mistake, this isn't a pub called the Jolly Gardeners — this is a gastropub called Zeitgeist, and it's very German. The black and red decor ensures a cool vibe on even the most sweltering days. 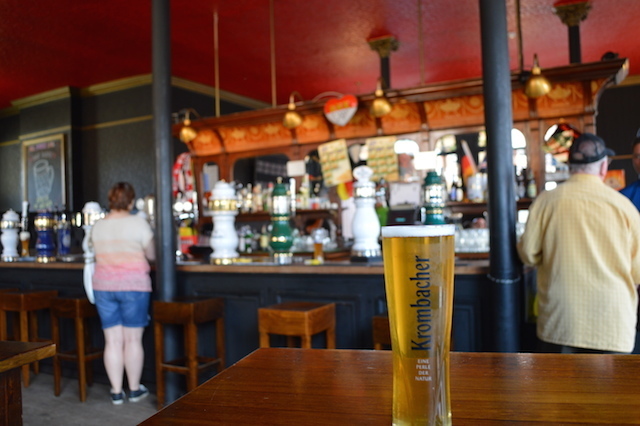 Zeitgeist serves three flavours of Rekorderlig cider (be careful to say in advance if you don't want ice), and numerous types of German lager, but no ale and there's a suspicious lack of suspicious German wines. There's certainly food, though, in the form of sausage, obviously, Flammkuchen (thinly rolled bread dough from Alsace, covered with all manner of toppings), and Haxn (your guess is as good as ours). 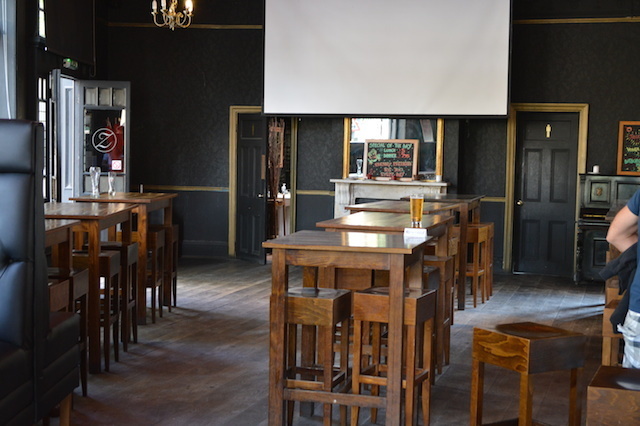 The pub itself is in two halves, with one section given over more to dining, while the main drinking area includes a huge screen for German sport, which you can imagine is watched with some fervour here. 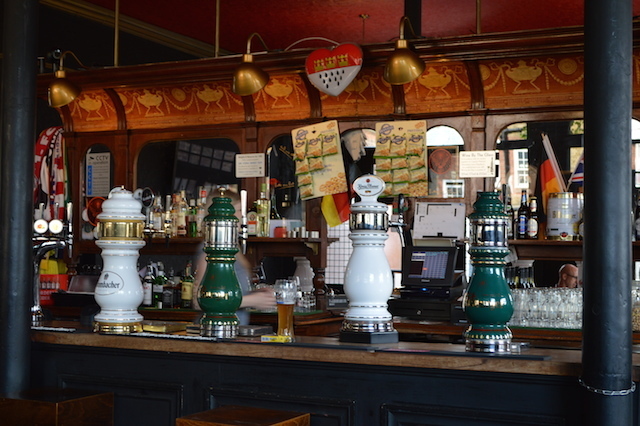 German football scarves adorn the corner of the bar and a Jägerbomb machine hints at raucous times to be had. There's a fine little beer garden, filled with gaily shrieking punters during our visit, who were doing a good job of avoiding the unfortunate musical mixture of a Tom Jones covers album and The Final Countdown, repeated three times on the spin before anyone in power noticed. "Um, what ales do you have?" "Keine ales". "Gott im Himmel". The pub with two names. Lots of stool seating, but there are also plenty of cosy, high-backed banquettes not pictured.